Let everyone know just how much you love dalmatians in this Prestige Cruella Devil costume for women! The villain costume includes a black, crushed velvet dress that ties behind the waist for a fitted look and buttons behind the neck for closure. The sleeveless dress has a small slit on the side and is made from polyester. A white, crushed velvet coat is worn over the dress. The coat is also made from polyester and has a red satiny lining on the interior. The collar and sleeve cuffs feature faux dalmatian fur and the coat has black buttons under the bust for closure. 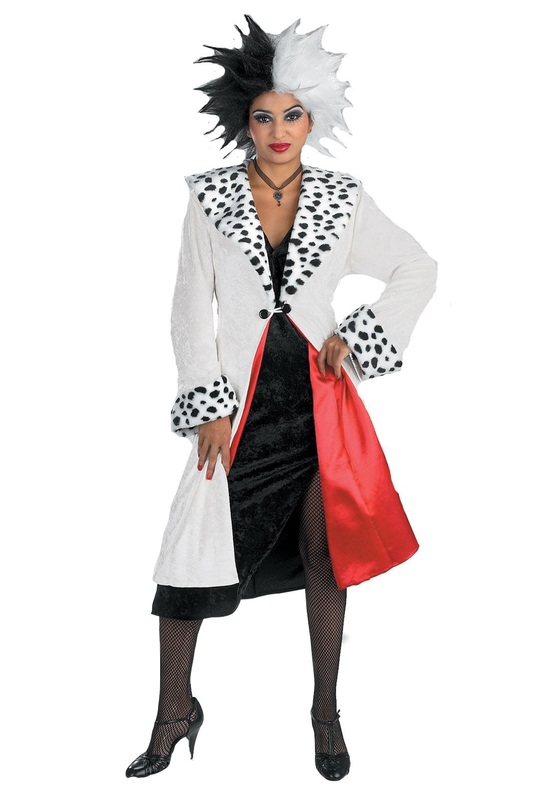 Get Cruella's signature look when you add our black and white character wig!